Stafford is located in England and it is Staffordshire's county town. It has beautiful landscape and it is a city for everyone: couple, families, friends, single. There are a lot of places to visit. Stafford has a huge and interesting story. This city was well- known for its shoes industry. But now it is the home of computer science. 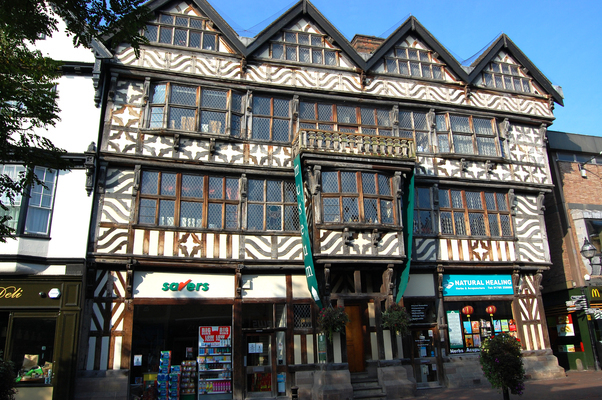 If you want to discover Stafford history, there are a lot places to see: Ancient High House (one of the Tudor building), Broad Eye Windmill, Ingestre Hall, Izaak Walton's Cottage, National Memorial Arboretum and Stafford Castle. If you have kids, it is possible to bring them to the British Wildlife Rescue Centre or to the Come Into Play. If you are interesting about the army, the Royal Air Force Museum Cosford will be a good place to have fun. Canalside Farm Shop & Cafe is a place to relax and enjoy Stafford landscape. Stafford offers a lot of amusement: bars, restaurants, nights club and café. One of the most famous bar is “The Floodgate”: it is a cosy place with good selection of beer. The Guildhall Shopping Centre of Stafford is a market square where it possible to find some famous brands as Boots and Pandora. There are also some little shops where it is possible to find interesting things. Stafford can be visited at any time of the year. Indeed it has a maritime climate: great summers and moderate winter. The average temperature is 8 degrees and July is the warmest month of the year. But on August there are a lot of precipitations. The cheaper local transport is the bus. It possibles to buy a ticket for a day, a week, a month or a year. The other way to move on the city is the taxi. Stafford taxis are abundant. Indeed there are 5 large companies of taxi in Stafford.